Lance Corporal Leon Louis Vivette died aboard a U.S. Naval Hospital Ship, the USS Sanctuary, and on 6 Jul (1967). Vivette died from missile wounds received in the head and also in the body. Vivette, son of Mr. and Mrs. Leonard Vivette, Route 1, Wapato, was born 8 Apr 1945, in Toppenish. He attended one year of schooling in Harrah and the other eleven he attended at Wapato. He graduated from Wapato High School on 4 Jun 1964, as a star athlete. While in school, he was president of Lettermen's Club for the 1963-64 school year, a member of the Future Farmers of America, a member of the varsity football team (of which he was honorary captain in 1964) and was pitcher on the baseball team all three years of high school. He also played basketball in the annual All-Indian Basketball Tournaments. He was a member of St. Peter Claver Catholic Church. Lance Corporal Vivette and Miss Marilyn Brockett had announced their engagement in the fall of 1965. 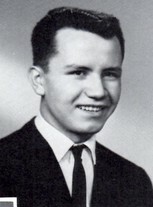 He graduated from Tacoma Vocational Institute before joining the U.S. Marine Corps on 5 Oct 1966. He was a licensed barber in the state of Washington. Vivette graduated from the Marine Corps Recruit Depot at San Diego CA in December. He then went through ITR at Camp Pendleton as a private first class. After extensive training at Camp Pendleton, he was assigned to Kilo Company, 4th Marines, 3rd Battalion, 2nd Platoon, at Camp Carrol near DMZ, South Vietnam. He left the United States on 14 May (1967), and arrived in DaNang 25 May (1967). He was stationed at Dong Ho. After a short stay of nineteen days at Okinawa, he was among the first Marines to enter the Demilitarized Zone in Vietnam, in May of this year. Vivette was promoted to Lance Corporal on 29 Jun 1967, just seven days before he was killed. 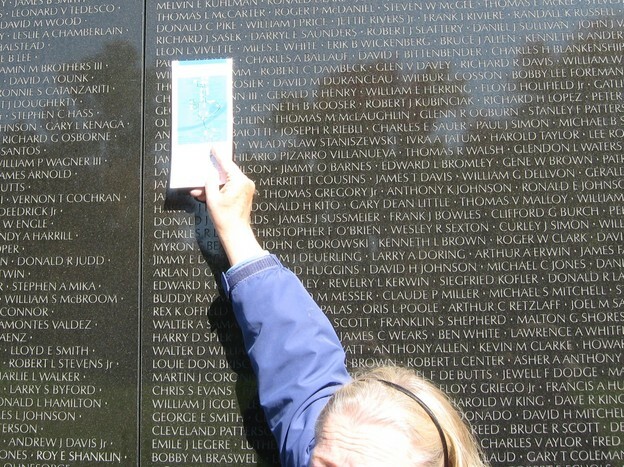 While visiting the Viet Nam Memorial in Wash DC, I made a rubbing of Leon's name. It was a very touching moment. He simply was one of my big brothers - we grew up together; experienced losses; and continued to grow up. Back in "those days" - no one knew who belonged to whom ... we darted in and out, had dinner, played baseball in the pasture, using cow pies for bases, swam in the canal, played tetherball, and soon became young adults ... I continue to honor all who are in the military. Be an individual who has been lost to war... to those who came home, or an individual lost during a silly escapade, or simply life. I simply hold you close to my heart as I suspect everyone in our class does. You were ours for a brief moment; and, hold you close to our hearts. Folks might need to check this out: I believe Leon and Forest Ramos came home together on the same hospital ship. I was distressed for a bit; until someone said: "They came home together... they were not alone." Why do I get so distressed: because another Vivette should have graduated with us: Leon's sister - who we lost in the sixth grade - she and I were simply riding a bike... Connie Vivette. Mr. Belzer piled up desks in our 6th grade class when I returned from the hospital and time off to heal - he did that so no one knew had her desk. Mr. Belzer is my hero forever. I remember the day it happened very well. It had been on the radio I believe and mom told me before I went to school. Mr Belzer was so extremely upset that he went home that day. The principal taught at least some of the day. I don't remember the pile of desks. I thought it was Leon Vivette and Leonard Miramontez that came back on the same ship.